The author dispels in a clear and chronicled way all the stereotypes built around the Second World War. A new, absorbing reading of the conflict, based on recently uncovered archive documents. 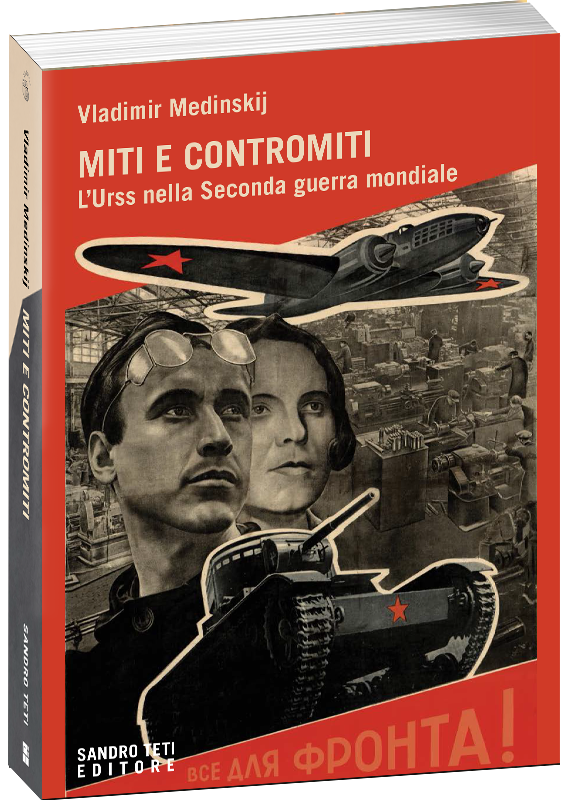 THE BOOK: Russian historiography about Second World War is usually focused on Velikaya Otechestvennaya Voyna (Great Patriotic War), that started on 22nd June 1941, the day of Nazi German invasion. The book deals with the delicate phase between 1939 and 1941, that is the Ribbentrop-Molotov Pact. Medinsky intends to take position against the nineties historiografical mainstream that endorses the role of western powers to the detriment of the Soviet Union and tends to put Hitler and Stalin, Nazi Germany and Communist Russia on the same level. Starting from the battle of Stalingrad, that altered the course of the war, and passing through the glorious march up to Berlin, the author underlines the main role played by Moscow in defeating Nazi Germans. 27 million Russian people gave their lives for their country: more than a half of the total amount of the fallen of the Second World War on all fronts. This is a work that aims to dispel all those myths built, both in Western world and in Russia, around the bloodiest conflict in History. Vladimir Medinsky is a Russian statesman, politician, historian and publicist. He graduated at MGIMO Moscow State University. He is an expert in communication field and public relations. He has been several times a State Duma Deputy and currently he is a member of the General Council of “United Russia”, the largest Russian party. Since May 2012 he serves as the Minister of Culture in Russin Federation. He wrote and published several books. Among them we find the series “Myths of Russia” from which has been taken this publishing.